Two of Australia's favourite sirens of stage and screen sizzle together on stage in this brand new showcase of cabaret and song. RACHAEL BECK and RHONDA BURCHMORE’S collective successes on stage and screen create an irresistible chemistry resulting in a superb night of entertainment and glamour amplified by the coolest live band. Add to this a splash of sequins, a flutter of feathers and a sensational dance ensemble and your senses will be revelling in a glittering display of sass and style. These award winning divas present sparkling renditions of their favourite tunes recrafted and uniquely arranged by Musical Director Mark Ferguson. Rachael and Rhonda will woo you with their talent and wit as well as their heartfelt stories and spicy tales. “The Long and Short of It” features fabulous songs from artists as varied as Beyonce, Miley Cyrus, Doris Day, Kylie Minogue, ABBA and Donna Summer as well as many of the songs made famous by the co-stars in their starring roles of music theatre. 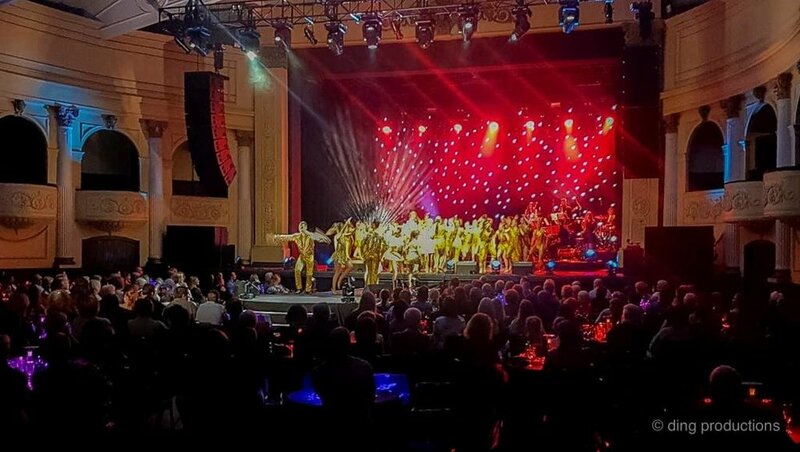 With special thanks to Leko Novakovic, Ben Schwartz, Matthew and Peta Shannon, The Thebarton Theatre, Chris Daniels, Kathryn Sproul and our support cast dancers comprising of dance students from more than 15 dance schools!